Join General Alexander, loyal follower of Abe Lincoln, for a Civil War reenactment. 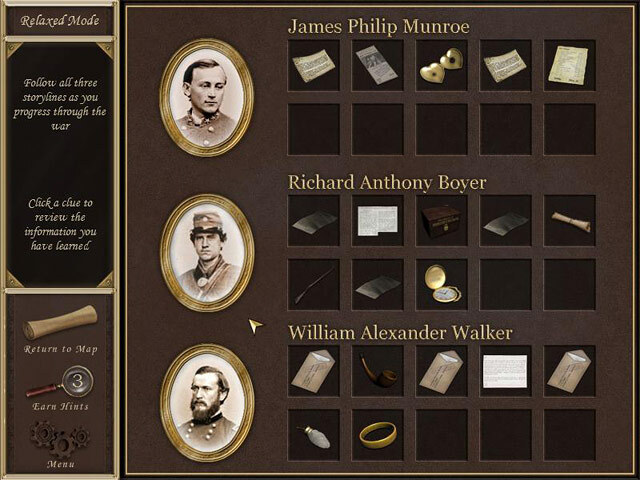 Search original battlefields for clues and letters left by members of a secret society. These individuals hid millions of dollars in gold, cash, and coin. 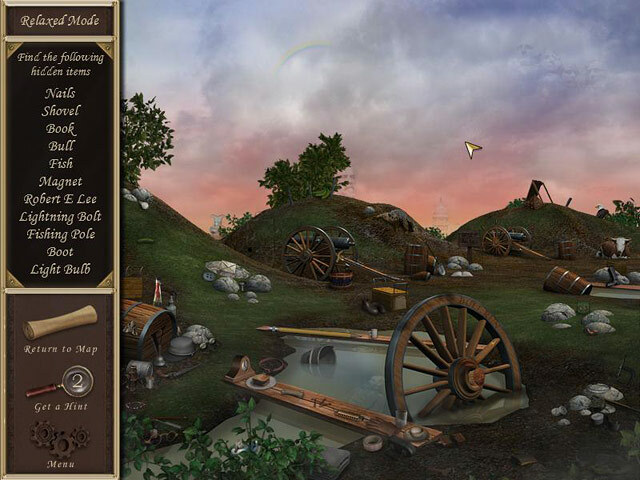 Scour 18 hidden object levels while advancing through time from the Battle of Fort Sumter (1861) to Lees surrender at Appotomattox (1865). Cross rivers and grassy knolls to unearth Hidden Mysteries of the Civil War.